Inspired by lush magnolia blossoms gracing the grounds of a stately Southern home, these everlasting silk blooms would fool even a master gardener with their lifelike appeal. Each petal of the gorgeous flowers and glossy, dark green leaves is unique. 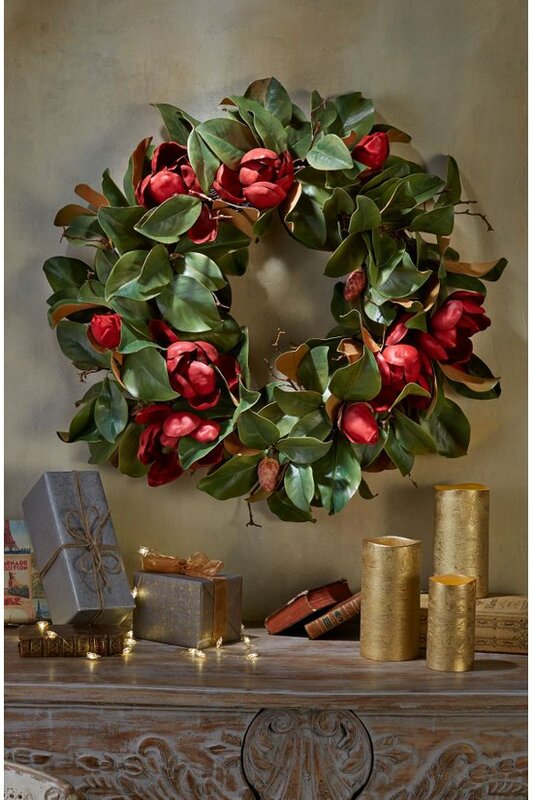 Crafted into a lovely wreath, these pretty petals bring natural beauty wherever you place them, from the holidays all the way to springtime. Choose white (in two sizes) or red. Imported. White in 24" and 30". Indoor and outdoor covered use.